Switzerland – my home, my country, where I was born, live and love from the bottom of my heart. A small country in the midst of Europe with old cities, beautiful landscapes, great food, traditions and an incredible history. During our 10 days of adventure we will take you through amazing landscapes, while visiting German, French and Italian speaking regions highlighting our diverse culture. We will not chase every sunrise or set and be exhausted for the rest of the day - I want you to enjoy your time here! We will go up high on mountains, cruise on lakes, visit local manufacturers, enjoy vineyards, eat local food, take some small hikes and just immerse ourselves in the beauty this country has to offer. This tour offers you numerous photographic highlights! 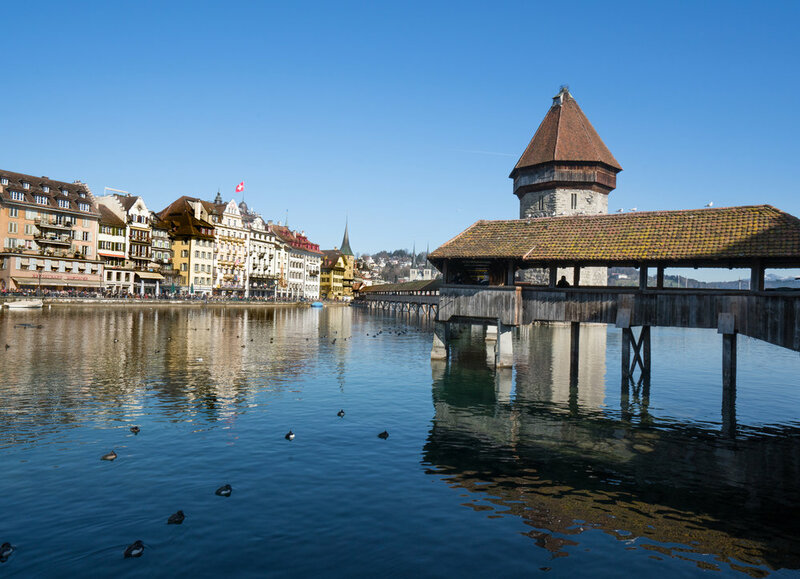 Lucerne – our next destination for two nights – we will stop in Hergiswil and visit the famous „Glasi“ (glassblowing factory). As I do know the owner from my childhood he will allow us access to the restricted area to take close-up pictures of the glassblowers. We will continue our drive to Lucerne and check into the Hotel in the middle of the downtown area. Time to settle and rest. Before we are continuing our trip today I would like to show you our House of Parliament in Berne where we will have a private tour through the beautiful building in the morning. Check out of hotel and drive through the picturesque Simmental to Gstaad where we will have time for lunch and from there it will take us another 1.5hours to Montreux. 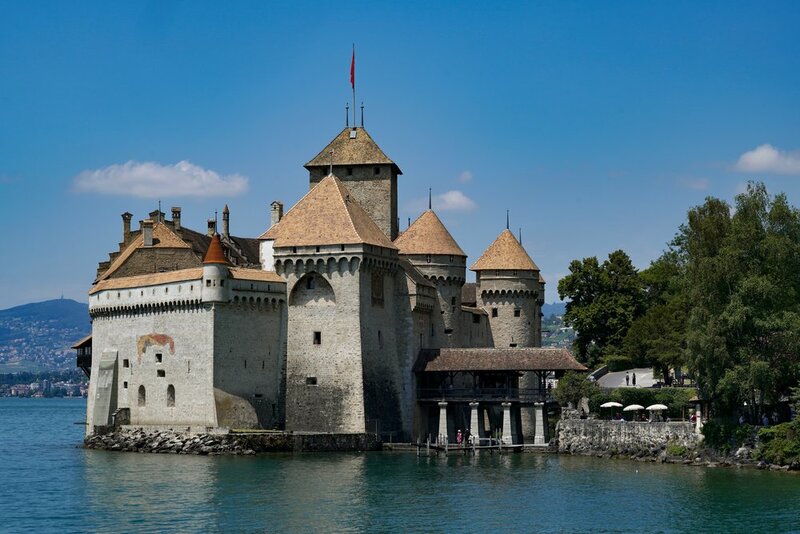 Montreux lies in the French part of Switzerland right by the beautiful lake of Geneva. We will stay here for 2 nights at an amazing hotel right by the lake ( with swimming pool). All rooms, single or double occupancy will have a lake side view and balcony. 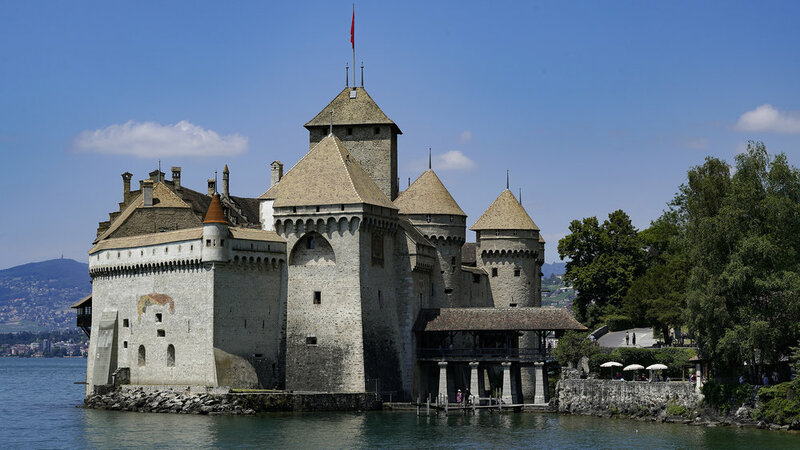 Montreux – morning walk along the lake to the castle of Chillon (approx. 45 min - bus available) and plenty of time within the castle grounds to take pictures. Small lunch / or coffee-break at a lakeside restaurant. Early bird special (until December 15th 2018) - expired! Average temperatures in June/July : min +15C max +24C (60F - 75F) in Zürich, Lucerne, Bern and Montreux, warmer in Lugano and colder in Zermatt. Please note, there are only 8 spaces available for this itinerary. TERMS AND CONDITIONS: please read carefully here. Join award winning Swiss photographer Monika Seyffer on this photographic journey, celebrating the beautiful landscapes and diverse culture of her beloved homeland. Monika was born and raised in Switzerland and is currently living in Zürich. Her passion for photography started as a young child and she has taken images ever since. On a continual quest to discover and capture light and it’s amazing interaction with our world, Greg Waddell is a free-lance photographer living in Prineville, Oregon. A graduate of the New York Institute of Photography, focusing primarily on landscape, street, event and travel photography, Greg has photographed throughout the Western USA as well as Central America, Morocco, Italy and Switzerland. His work has received several local “Peoples’ Choice” awards and has been featured in B & W magazine. Edoardo Crivelli was born and raised in Switzerland and followed his parents in the Hotel industry.